Ahh Taco Tuesday, my favorite themed meal of the week! Even though this recipe is not officially a “taco” it’s basically everything that makes a taco delicious, thus, Happy Taco Tuesday to you! But seriously this is a super easy and scrumptious dish that’s packed full of healthy fats and protein with out added bulk (aka carbs and calories) of a tortilla! 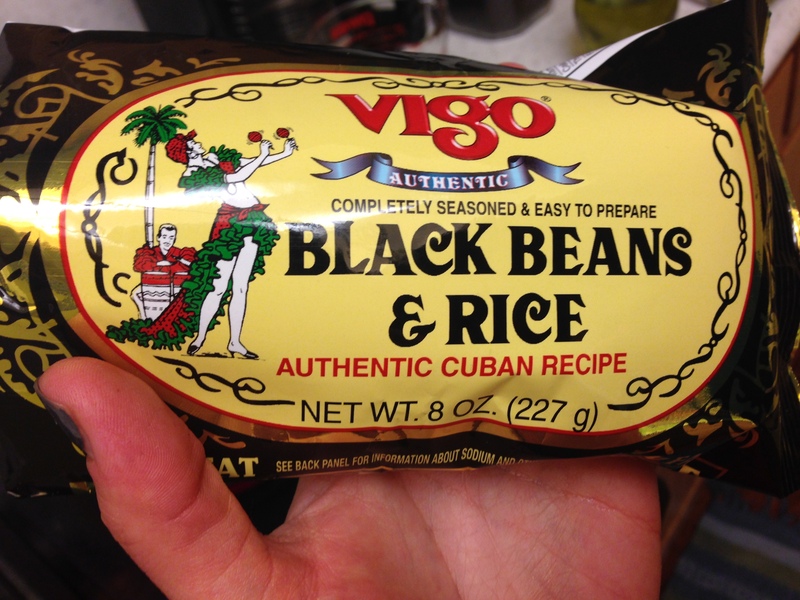 I used the Vigo brand black beans and rice, which is preseasoned and absolutely to die for! It only takes 20 minutes to cook and it’s got so much flavor! I also used a rotisserie chicken which is so much easier and WAY more flavorful than plan old chicken breast! Shred the chicken up and toss it together with some onions, peppers and top it all off with some homemade cilantro lime dressing and voila, Black Bean, Chicken and Rice bowl to your face- dinner is done! Enjoy! Cook rice according to package directions, allow it to cook while you prepare the chicken. 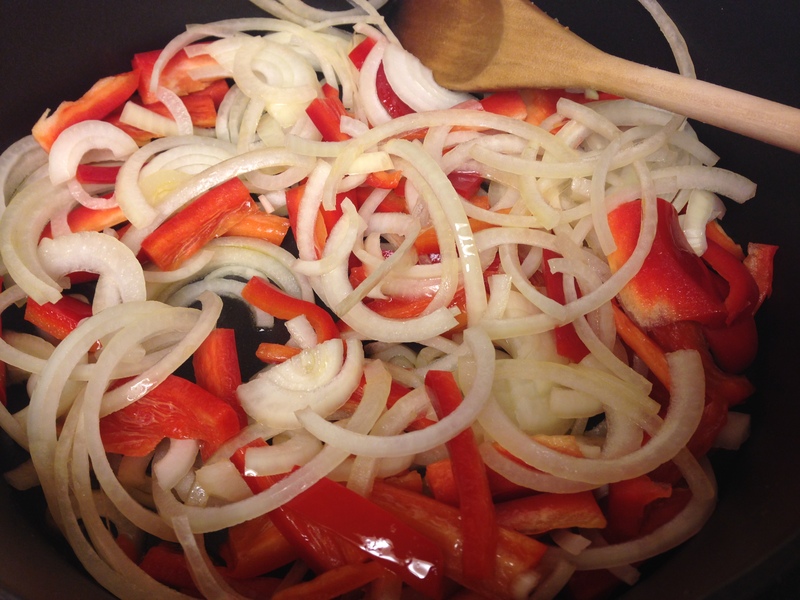 Add olive oil to medium size skillet and cook onions and peppers on medium heat for 5-7 minutes or until onions are translucent and peppers are tender. Meanwhile, combine cilantro lime dressing ingredients in a food processor or blender. Blend until smooth. Season to taste with salt and pepper. To serve, place rice in a bowl, add chicken mixture on top. 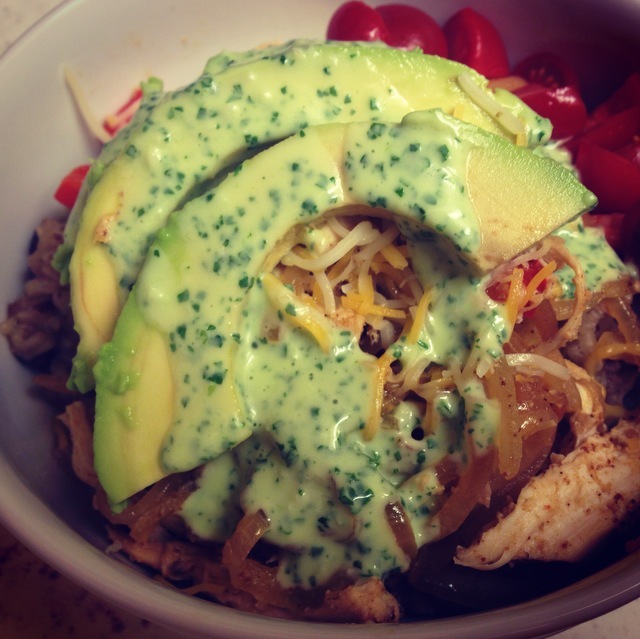 Top with shredded cheese, avocado and other desired toppings. Finish by drizzling cilantro lime dressing over the top and Buon Appetito! Be sure to follow Ski Boots in the Kitchen on Twitter @Skibootskitchen and ‘like’ me on Facebook! Get all the delicious recipes delivered right to your inbox! Subscribe on the home page of my website! 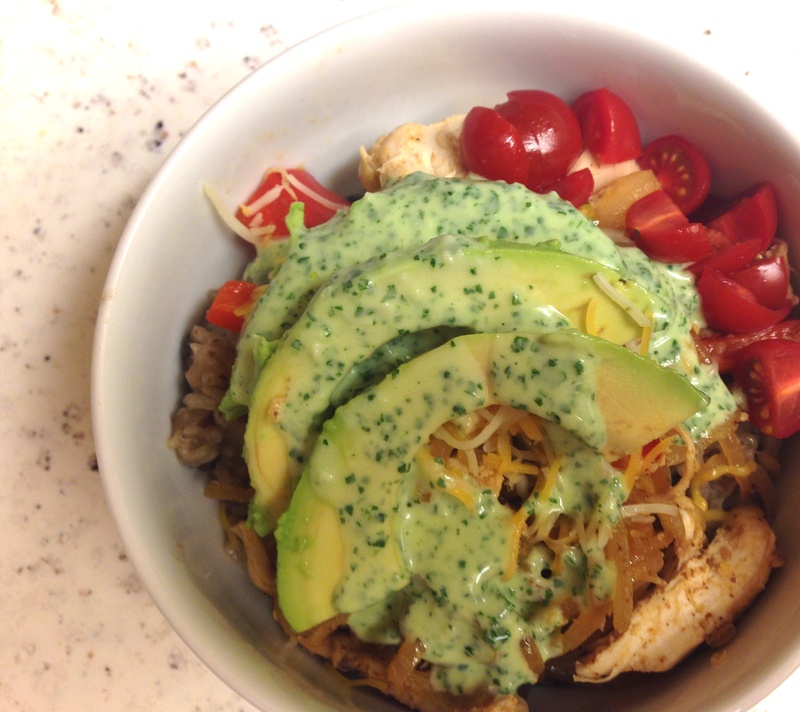 This entry was posted in Entrees, Recipes, Taco Tuesday and tagged black beans and rice bowl, burrito bowl, chicken and rice bowl, cilantro lime dressing, gluten free chicken and rice, mexican, taco tuesday, Taco Tuesday rice bowl, tex-mex by skibootsinthekitchen. Bookmark the permalink.